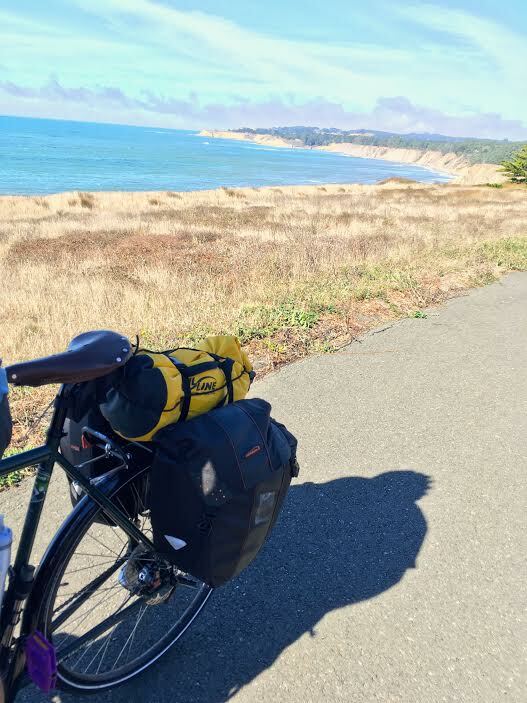 This is a guest post from Tom, Brittany, ( and their beloved dog Indy ) from the Rolling Pack blog about their experience biking from Eugene, OR to San Francisco, CA on the Pacific Coast Bicycle Route. Bike touring around US ( or at least around Washington state ) is still on my Bucket List, and that's why, it was especially interesting for me to learn about Tom and Brittany's personal experience. I find bicycle touring to be the Ultimate Adventure Travel Experience ! But to my knowledge, if you go out unprepared, your trip could be over before it’s even had a chance to begin. Many people set out on their bike touring adventures without having done the necessary planning or preparation, just to end up having a miserable time. Tom and Brittany's example shows that if you do your homework, bike touring could be an amazing life experience !